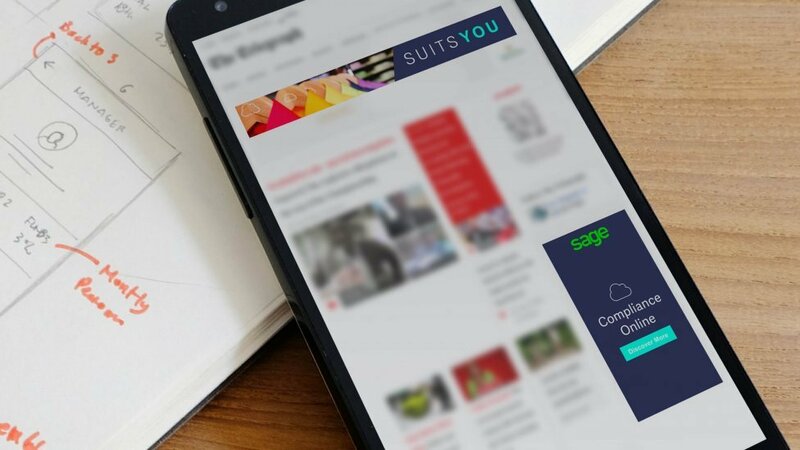 We created a financial marketing campaign that helped Sage regain a leading market position for their integrated accounting software, thanks to an uplift in click-through rates and online engagement. Regaining a market leading position can often be as difficult as reaching the top spot in the first place. Sage had identified a barrier – that their desktop practice solution can be too complex for accountants, with too many features they pay for but don’t use. 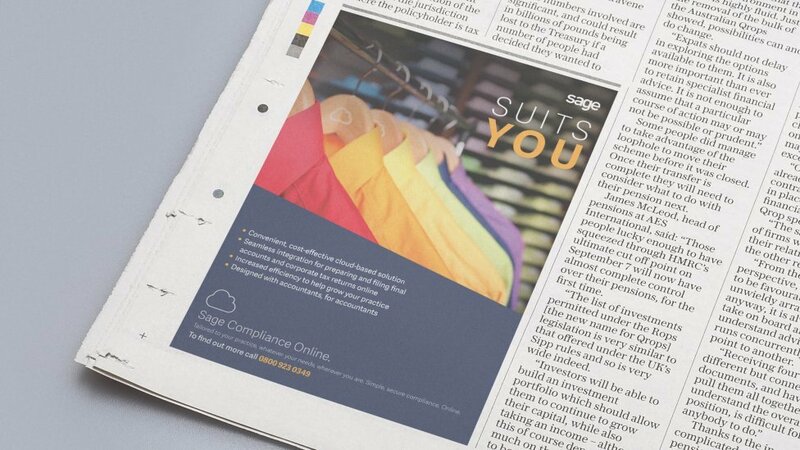 Our brief was to help Sage, who support millions of businesses worldwide with solutions in integrated accounting, payroll and payment systems, reclaim the top position. Our campaign had to help them promote a new product created to get them there: Compliance Online. 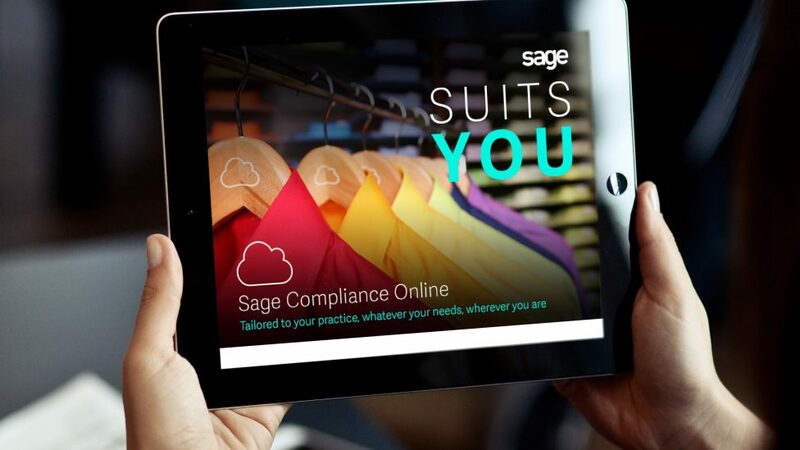 Sage’s new cloud-based product is a suite of compliance solutions, services and education programmes that support their practices and enables seamless collaboration between Sage and their clients. It saves time and money, and increases customer satisfaction: customers can switch to a cheaper product with exactly the level of productivity they want. They can purchase what software they need, or bundle different options together for a full package, offering efficiency and collaboration. We applied the product’s simplicity and efficiency to our creative solution: the use of imagery showing a selection of simple business shirts, available in a variety of colours to suit different needs, perfectly encapsulates the product’s USP. We created a variety of online and offline assets for the financial marketing campaign: newsletter, social updates, new web page, direct mail, digital ads, banners, video, brochure and email. 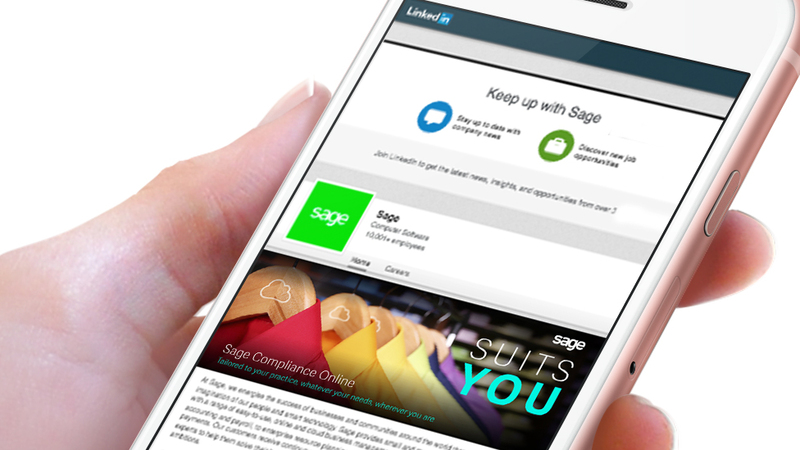 Emails were designed and created to be compatible with Sage’s email platform, Eloqua. The financial marketing campaign was very well received internally and externally. Although results haven’t yet matured, figures so far are encouraging with uplifts in click-through rate to landing page, video views, and document downloads, as well as purchases through contact with new business team and via the e-shop.